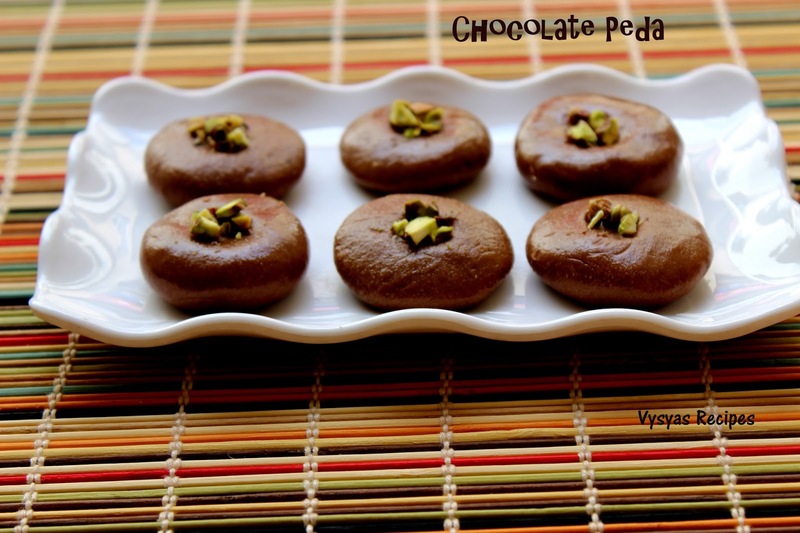 Chocolate Peda is an Easy, yummy & simple Diwali Sweet Recipe, made with Condensed Milk, Chocolate Powder & Milk Powder. This is an Kids friendly sweet Recipe. if you have a Chocolate Craving, you can make this recipe in no time.When Condensed Milk & Milk Powder blended with cocoa Powder,tastes yumm. Prep Time : 5 minutes. 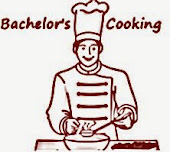 Cook Time : 15 - 17 minutes . Condensed Milk - 1/2 tin (200 gms). Milk Powder - 1 cup. Cocoa Powder - 1 tbsp. Chop the pistachios and keep it aside. 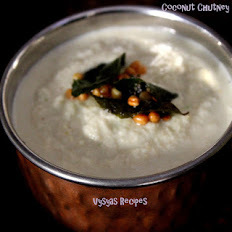 Take a wide thick bottomed pan/kadai, add condensed milk,cocoa Powder and Milk powder, mix well. It should not have any lumps in it. Now switch on the stove, after few minutes it starts melting. Stir for few more minutes, till it comes in the form of soft dough and leaves the sides of kadai Now add 2 tsp of Ghee and Mix well. Take a small portion of it, and hold it, you should able to make a ball. This is the right stage to switch off the stove. When it cools down, and still it is little bit warm, knead well.Grease your hand with ghee,then take a small portion of it, make lemon sized ball, then flatten it, and make a dent in a center, as shown in the picture and arrange chopped pistachios over the dent. 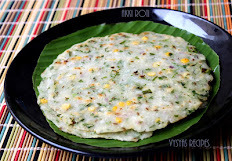 Repeat the same, for remaining dough also.After making pedas, let it be as such for more than 3 -4 hours. it will be moist and chewy in the beginning, then after an hour or so, the moistness will go off, then it gets dry texture. After making the dough allow it to cool for few minutes, else it might burnt your hand. Kneading the dough, avoids cracks in pedas. you get Good shape and Good shiny texture of pedas, if you grease your hands with ghee. 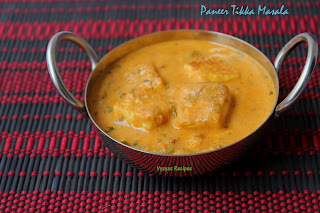 Pedas will be chewy after you make, so let it be as such for 3 -4 hours, then serve. Beauty and beautiful. 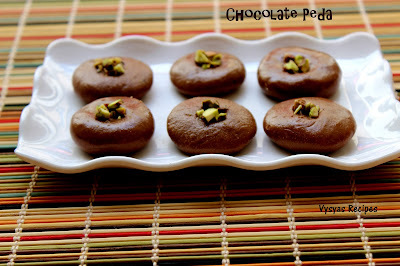 Choc peda I have not seen. Thank you for introducing. 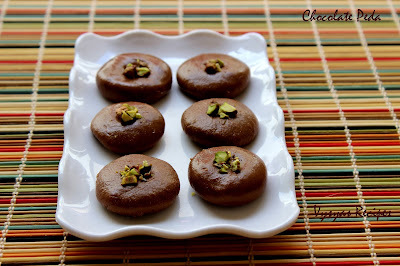 Super yummy and super stunning chocolate pedas. Chocolicious. 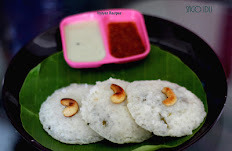 wonderful & innovative pedas........kids will love it.